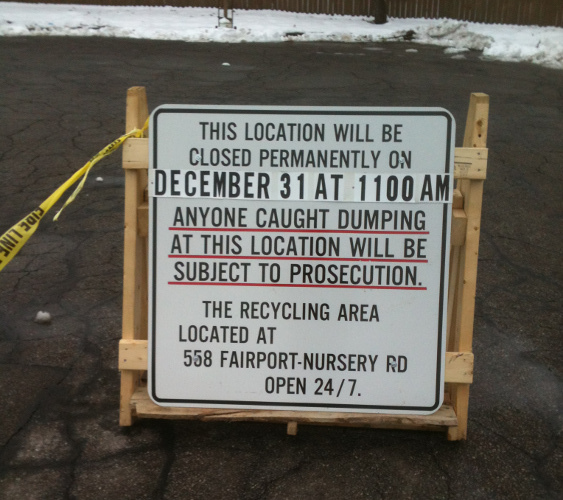 Sad but true: On Monday, December 31 at 11:00 a.m., Painesville Township closed the Nye Road recyclables drop-off site. This entry was posted in Government Policy, Learn About Recycling and tagged recyclables drop-off sites, recycle, recycle aluminum cans, recycling. Bookmark the permalink. Before, my dad could drop off can, glass, and hard plastics, in the SAME bin. We collect them (at home) in the same bag. Hopefully, we can still collect them, and drop them off ‘together’ in the way that we have in the past. If you find out one way or the other, would love to have clarity. Also, I was told that if we take Ravenna Rd. (old 44), cross over 608, then somewhere fairly close, on the left, there is a recycle place where we could take quite a few things and drop them off. Nye is closer to us. Candace, if I get more information, I’ll share it here. In the meantime, if you visit the recycle place on Ravenna Road, I hope you’ll post more precise location information here (along with any other details you feel we can use). Yey! 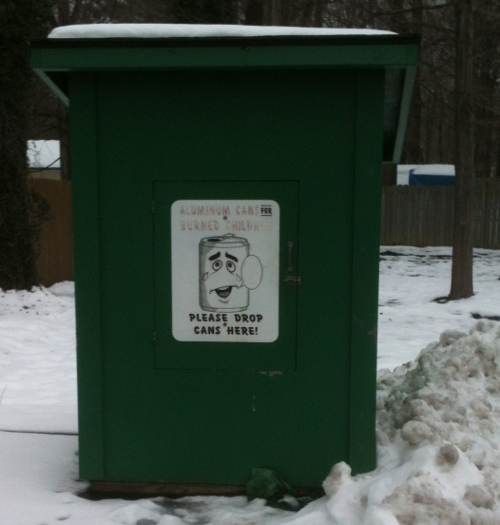 We found a drop off site for recyclables! You can get there if you take Erie St. (Rt. 20) heading towards Perry, but veer to the left (after bridge) and go up Fairport Nursery Rd. Just past Painesville Township Park and one restaurant. If you pass their fire station you went too far. You will make a right into the area. You can see the ‘hoppers’ (as we call them) all lined up, and they take most everything you would want to recycle. Cardboard, plastics, glass, metal, even mail (though my dad takes his mail to the Lutheran Church on Mentor Ave.) I saw some dumpsters with larger items too. You can also get there by taking Richmond St. and head towards Fairport. Go over the bridge and veer to the right at the light which will be East St. Take a right at 6th St. which is Fairport Nursery Rd., from that end. Follow it quite a little way, but a short little street (Post Rd.?) is on the left just after the Fire Station, and BEFORE Painesville Speedway. The only thing on this short ‘street’ is this recycle area! Not as sure of the Street name as I would like…however, though the green dumpsters are back off from the road a bit, it’s still very easy to see them if your lookin’!